The Ancient Ram Inn has almost 1000 years! Well, to be exact, it was constructed in 1145, so it’s 871 years old, but fingers crossed for its 1000th birthday. While the structure is very old, the ground underneath is ancient. It is believed that the site of this terrifying building used to be a Pagan burial ground 5000 years ago! Moreover, when analyzing the map of the inn, we can see that it is built at the intersection of two Ley Lines that can be traced directly to Stonehenge! Locals believe that the energy from Stonehenge travels directly to the inn through these lines, thus amplifying the building’s paranormal power. If you go wandering through Wotton-Under-Edge, the charming little market town that houses one of the most haunted buildings in the world, you will hear all sorts of stories regarding this building. One of the oldest legends that has been passed down from one generation to another is the story of the witch’s sacrifice. In 1500, when the prosecution against those who did not practice Christianity was at its peak, a woman took refuge in the building as the soldiers were looking for her through the village. Unfortunately, they found her and burnt her at the stake, saying that she was a witch. Whether that was true or not, we cannot know. 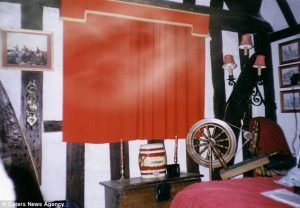 But what we do know is that today, many people believe that poor woman’s spirit wanders through the inn and the room where she took refuge 500 years ago is called today the “Witch’s Room”. It is obvious that with so many evil stories surrounding this building, people started to avoid it. But in the 1960s, a man named John Humphries was brave enough to buy it and make it his home. His courage cost him almost anything, except for his life. 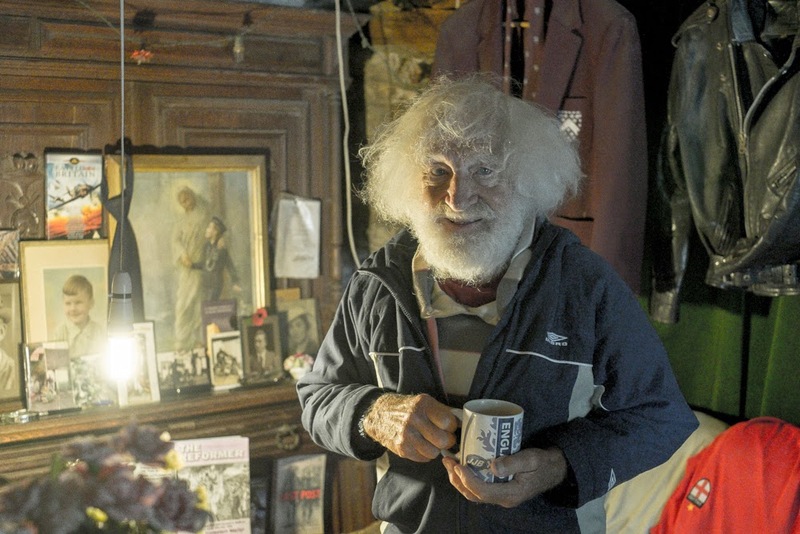 He is in his 80s now, but he has a lot of stories to say to the brave people who cross his doorstep. And it all began with the first night he ever slept in this house. When he bought the inn, he knew about the legends surrounding it but never thought he would so soon discover those were not only legends. 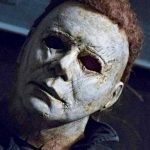 As John tells it, the first night he slept in the house, he heard a child’s scream and felt a demonic force grab his arm. Any other man would have left the house after this episode, but not John. He decided to investigate further and what he discovered will make your blood curl in fright. 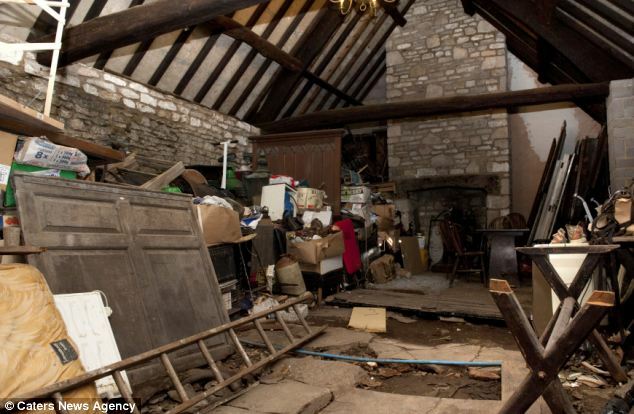 In the basement of the house, under the ground, he found children’s skeletons and broken daggers. He discovered that the house used to be the site of Devil Worship rituals that included the sacrifice of children. The daggers were broken after the deed so that nobody would be able to use them again. As one would expect, many people have wanted to visit this inn and even had the courage to spend a night there. 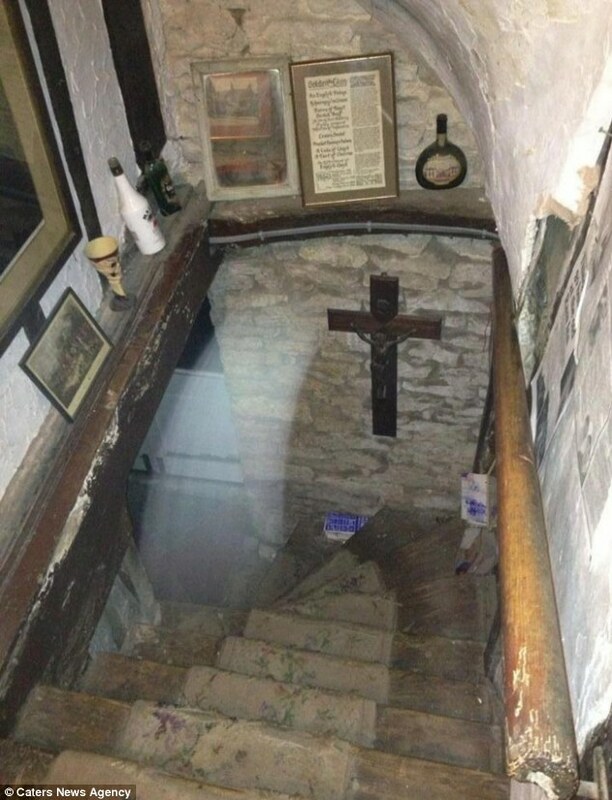 Some of them were just tourists in search of the unknown while others were experts who wanted to either confirm or deny the building’s paranormal charge. All of them were left speechless as they set foot in the inn. Mr. Humphries daughter recalls that visitors would often say they had heard children’s screams as well as had objects thrown at them. 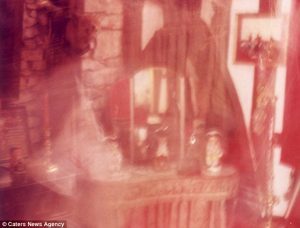 Some of the witnesses claim they have seen the ghost of a high priestess roaming around one of the bedrooms while others were so terrified by the strange happenings in the house that they jumped out the window to escape the evil presences. Paranormal investigators even managed to capture some of the entities on video, which you can see below. 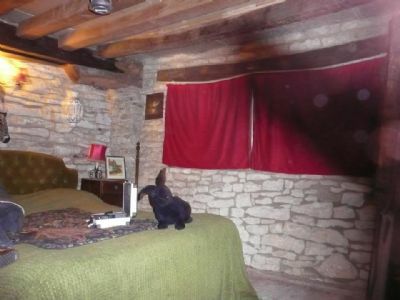 One of them even sensed an entity brushing against his back and then felt the ancient wooden beams vibrating. The truth is that the Ancient Ram Inn is a terrifying place packed with all sorts of energies – the kind that make you question your mental sanity. If you are brave enough to visit this house, you should prepare yourself for a meeting that will change your perception of the world. And no matter what you see, don’t lose your nerve and be careful where you step. You can never know what will happen.